Honestly, these high pressure pasteurized juices have become all the rage….but is cold pressed really a healthier alternative to regular juice? Let’s find out! What Is So Special About Cold Pressed Juice? Not all juice is created equal. First, there is freshly squeezed juice, and this still remains to be the healthiest version of juice to complement your morning breakfast. If you do have time for juicing and the right kind of equipment at home, nothing beats fresh juice. However, unpasteurized juices have a short shelf life and are far too susceptible to be contaminated by harmful microorganisms like yeast and bacteria. If you like freshly squeezed juice, make sure you make a fresh batch every time. Then comes the all-too-common juice variety sold in cartons. These have been around for ages, and you find them in plethora of flavours, with some claiming to have ‘no sugars added’ as well. However, these juices undergo a heat process, and that is why they have such a long shelf life. In the process, they lose out on vital vitamins, minerals and enzymes that you would ideally want from your glass of juice every day. As consumers got smarter and more health conscious, premium juice brands came up with the concept of cold pressed juices. These juices come with no added sugar and preservatives and are also not subjected to heat. For those who live a busy lifestyle and simply don’t have the time to squeeze out fresh juice several times a week, these grab-and-go cold pressed juices are the best bet. 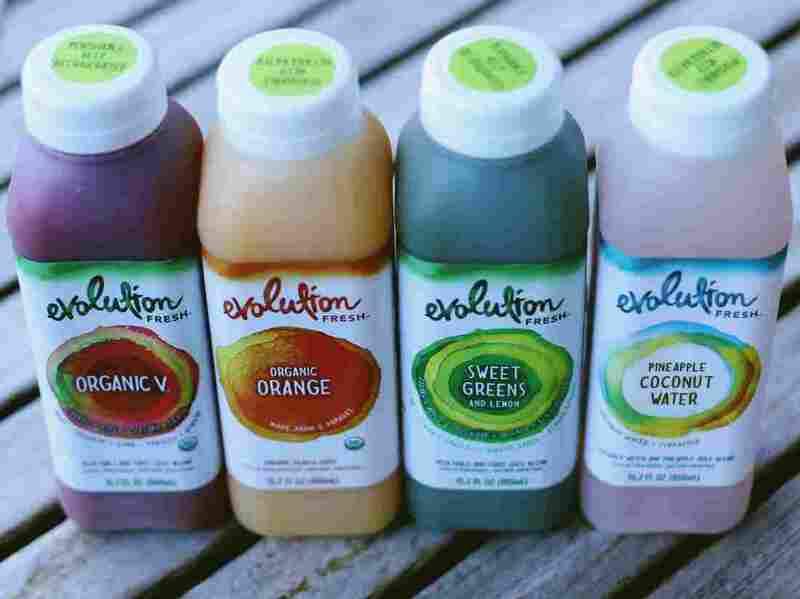 Evolution Fresh is the cold pressed juice range from Starbucks. The company says it’s betting its customers will make this juice a part of their daily habit — an additional beverage they pick up with their coffee in the morning. What Exactly Is Cold Pressed Juice? Cold Pressed Juices are made by applying very high pressure to raw juice. When raw fruits and vegetables go through a cold-pressed juicer, they tend to retain the maximum amount of nutrients, otherwise lost out on when juice goes through heat process. Once the raw juice goes through high pressure, it is packed and sealed and must be refrigerated. These juices have more nutrients than regular juices sold in cartons while they have a longer shelf life as compared to unpasteurized, freshly squeezed juice. The high pressure neutralizes molecules that cause juice to spoil faster, giving these cold-pressed juices a shelf life of 45 days. What is wonderful is that pressure doesn’t damage the nutrients in raw juice the way heat does, keeping the antioxidants and vitamins intact. Is It Worth Spending Extra On Cold Pressed Juices? If you love the flavour and texture of fresh juice but simply don’t have the time to squeeze out a fresh glass every morning, spending a few extra bucks on cold pressed juice is well worth it. In fact, juice aficionados claim that cold pressed juices taste just as good as freshly squeezed juice! Since the juice undergoes minimal air exposure and heat transfer, it contains a higher content of vitamins, minerals and enzymes. These juices are also perfect for those on a juice cleanse or a juice detox program. The bottom line: If your diet doesn’t include a lot of plant food like fruits and leafy greens, cold pressed juices are the perfect pick for you, especially if you don’t have the time to make fresh juice every day. It is better to spend a little extra for cold pressed juices than drink tons of sweetened boxed juices that are higher in calories and lower on nutrients.